Parents, ever wish your kids (or you) could just call up a personal tutor in math, science, or English when they’re working on homework? With your Decatur Public Library card, you can! Tutor.com is an online service you can access for free as a Decatur Public Library patron. Log in with your library card number, and then you can connect live with professional tutors between 3 and 10 p.m. every day. You supply the grade of the child, subject, and particular issue, and Tutor.com will connect you with an appropriate tutor. You can also download worksheets, take practice tests, submit essays for review, and get a variety of other help in English or Spanish. For more information, go to Tutor.com, or check out their video introduction. Whether you are trying to help your child find a book to read for school or want to give them an extra boost in the evenings, our reading resources can help you give them the edge. 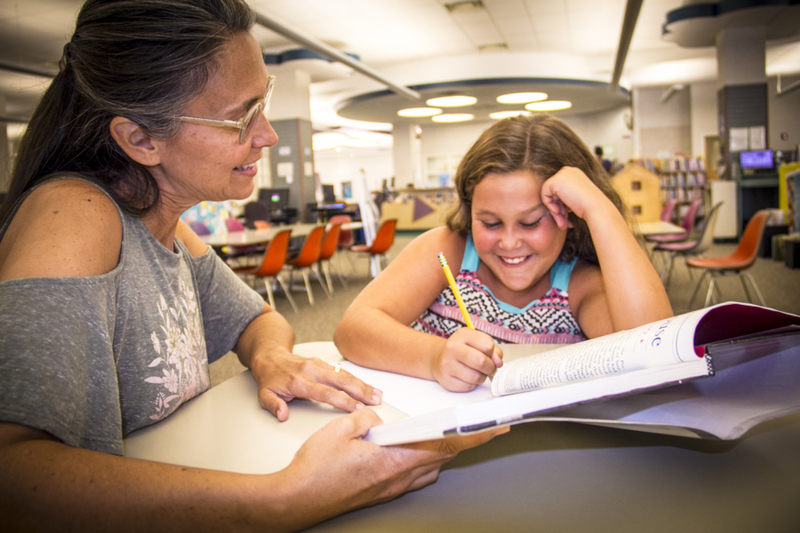 For older students preparing for the ACT or SAT, Decatur Public Library offers courses, help, and resources through Gale Courses.